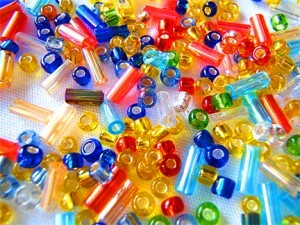 B.Y.O.Beads means “bring you own beads”. Bring in an assortment of your own beads and learn basic jewelry assembly on Sunday, May 25, 2014 at 2:00 – 4:00 pm in the Arts & Crafts Area. Findings will be provided for earrings and to also make a bracelet or necklace. This is a good introduction to beading and bead tools. No prior experience is needed. Make items for yourself or to give as gifts!